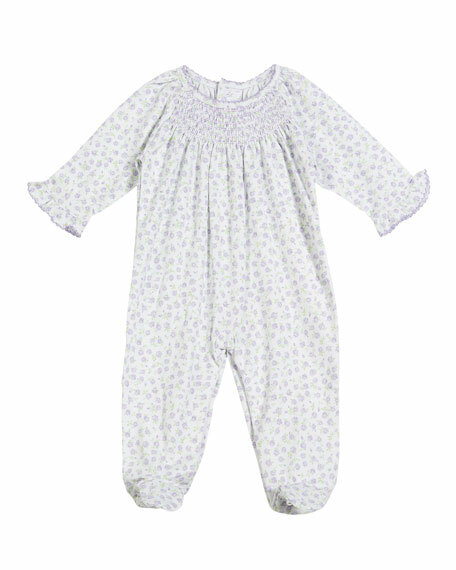 Kissy Kissy printed footie playsuit from the Rambling Roses collection. Long, raglan sleeves with ruffle cuffs. For in-store inquiries, use sku #2640525. 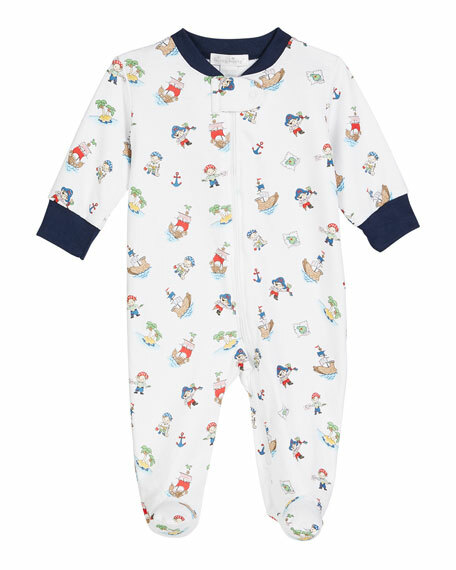 Kissy Kissy pique footie playsuit from the Bunny Hop collection. Crew neckline with contrast ruffle collar. Long sleeves; pleated shoulders. Snaps at back. Picot trim. Snaps through legs. Pima cotton. Made in Peru. 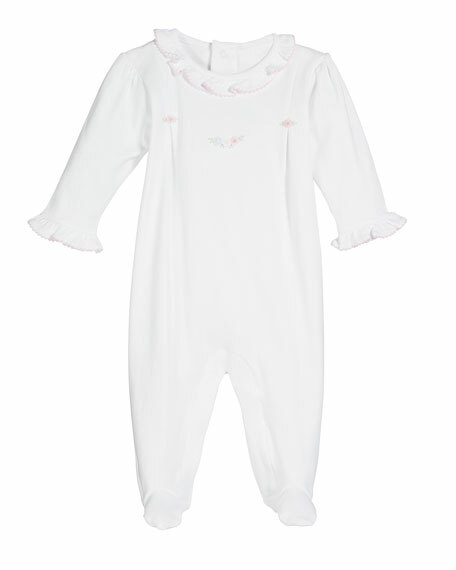 Kissy Kissy footie playsuit from the Princess Castle collection. Crew neckline; snap front. Long sleeves; pleated shoulders. Picot trim. Footed silhouette. Snaps through legs. Pima cotton. Made in Peru.